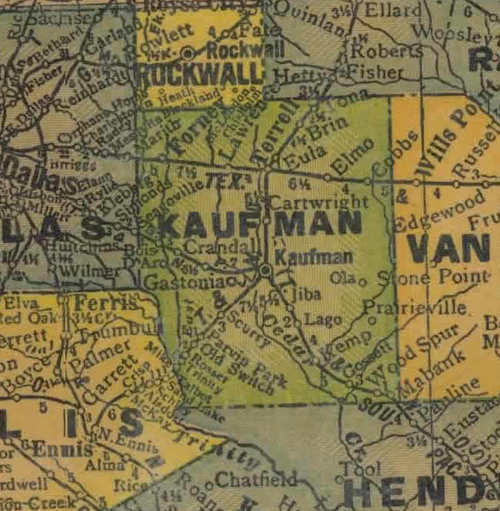 The community was named after Elmo Scott, the surveyor for the Texas and Pacific Railway when they built through Kaufman County in the early 1870s. A post office opened in 1873 and in ten short years the population grew to an estimated 900. The population declined to 300 by 1890 but it retained all essential infrastructure. The population stayed at 400 for the first 25 years of the 20th Century but after WWII it fell to 150. Over time it has slowly been reduced to the 90 people shown on the state map.